The flute is a popular musical instrument used to produce nice melodious tunes independently or in combination with other musical instruments. It is one of the oldest musical instruments ever known. 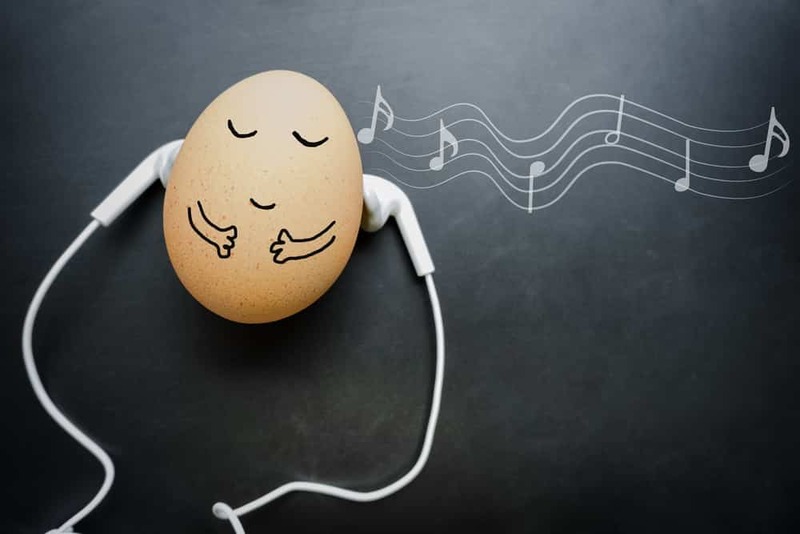 Some words that can be used to describe music made with a flute include relaxing, soothing, positive, and meditational among other nice words. In combination with other instruments, flutes enhance the quality of music. There are three common types of flutes. We know about the Alto flute, A Piccolo, and the Bass Flute. Beginners are usually introduced to flute playing with simpler flutes such as the Elkhart or Yamaha student flutes. The sweet sounds produced by flutes are made by blowing air into the flute and rhythmically running fingers over the holes in the flute. Renowned as woodwind musical instruments, everyone can l﻿﻿earn how to play the flutes online. Online flute lessons offer an affordable chance to learn how the flute is played. This knowledge can be received remotely from your home. These opportunities are created by experienced and reputable instructors who create instructional packages to guide the students online. Playing the flute is a wonderful experience; the continuous musical sounds encourage the player to continue thrilling their audience endlessly. The online lessons to help people learn how to play the flute are divided into simple, smaller lessons. This approach promotes easy comprehension and a better progress while learning. A wide variety of songs can be played with the flute. 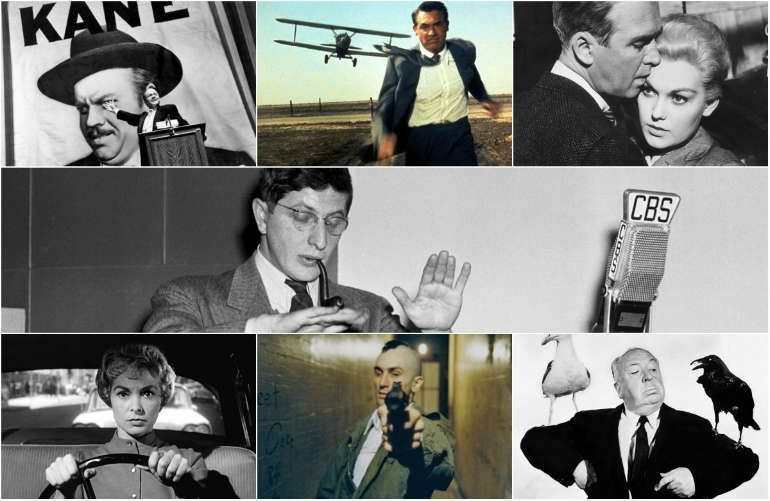 These lessons and more are available online to everyone who needs to learn or improve their skills. 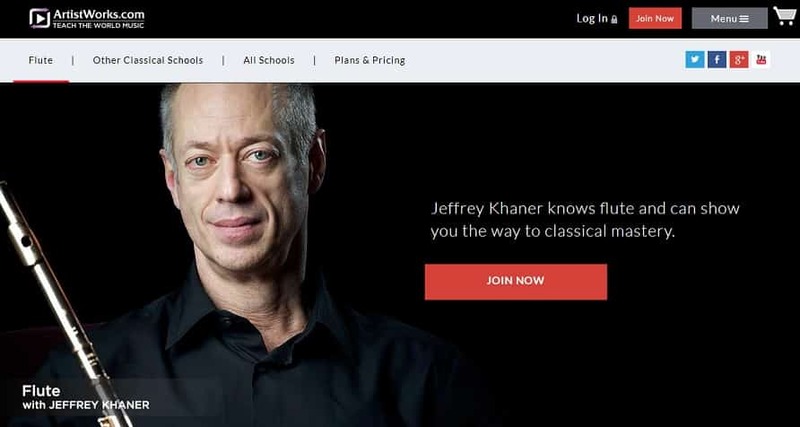 The flute lessons on this website have been pre-packaged by the maestro of the flute – Jeffrey Khaner. He teaches a step by step approach to learning how the classical flute is played. In his lessons, Jeffery takes advantage of the online medium to expose the tips, and basic knowledge students need to play the flute excellently. The online lessons are structured to allow everyone to learns at his or her own pace. The packages include as many as 100 flute lessons which can be learned over a period of time. The learning program is convenient and accessible for everyone, beginners, and intermediate students. Getting the best from the online video lessons are enhanced by adding special features to promote comprehension. Students can use the slow-motion features to study the flute lessons shown in videos. In addition, the videos can be looped to help improve practice while viewing the videos on this site. A global community already exists on this website, and there is room to accommodate more people who wish to learn how the flute is played. Under the instructions of a flutist who has played with the Philadelphia Orchestra for 23 years. The online lessons cover foundation skills, simpler etudes, advanced etudes, practicing with the flute and orchestra training. Udemy online academy offers online flute learning programs to the public. These online lessons are presented as wonderful opportunities to help the student improve their tone while playing the flute. On the website, there are over sixty instructors who have created profiles which display their learning packages. On each profile, students can read the basic information about the offer and what they can learn by paying for that particular service. Udemy confirms the experience and qualifications of all its instructors on the website. This provides additional confidence for students who need to become better at playing the flute. Many of the learning options on the site are structured to guide students. Everyone can start from the beginner level to become intermediate and eventually professional flute players. 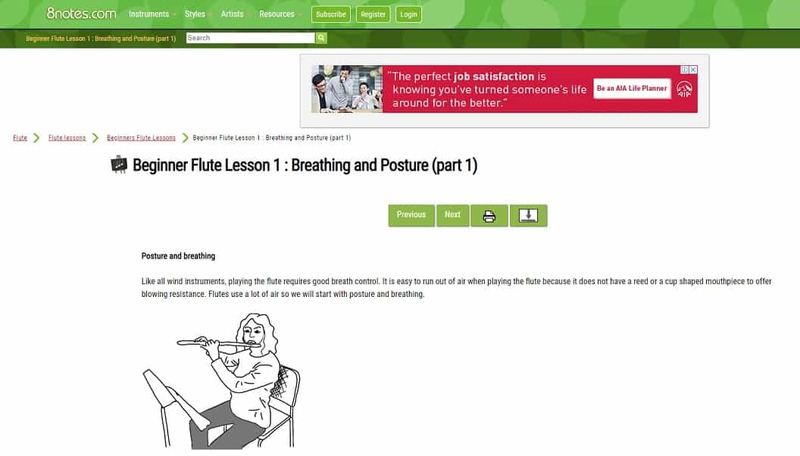 To encourage students, many of the flute playing courses on Udemy has been made quite simple. Students are guided on how to make a choice among the instructors. Some teachers offer as many as 100 lessons on their package. Other teachers offer between 12 to 60 lessons targeted at particular student groups. Some teacher offer lessons for beginners while others have structured their lessons for only intermediate and advanced students. 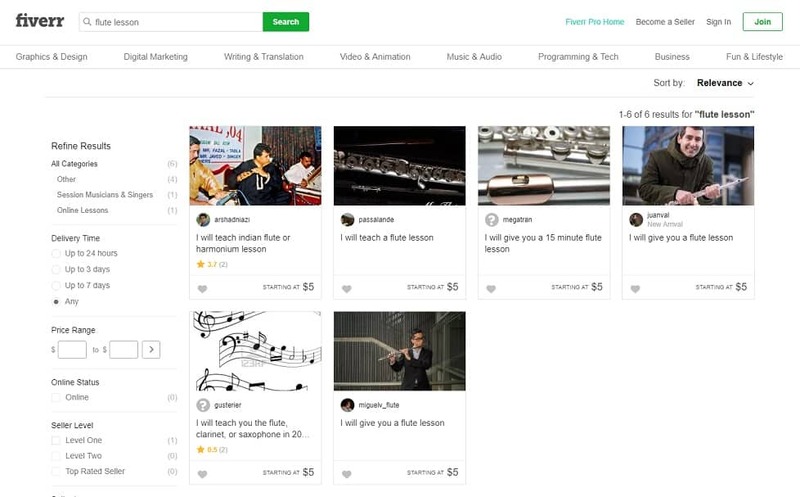 Fiverr is a freelancing website that offers online flute learning opportunities to its growing online community. 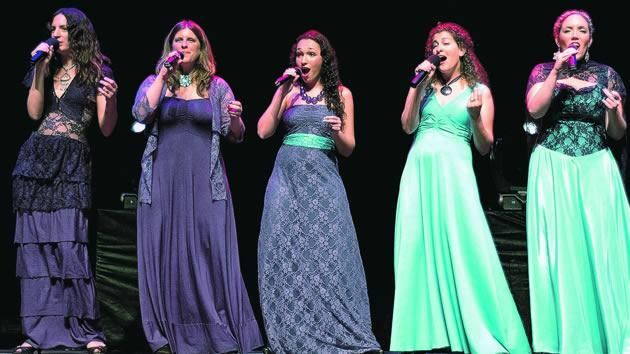 On the site, professional flute players can create gigs which offer instructions to guide people who buy the gigs. It is a simple process. The instructors create learning packages in video or audio files which are presented to guide the students. 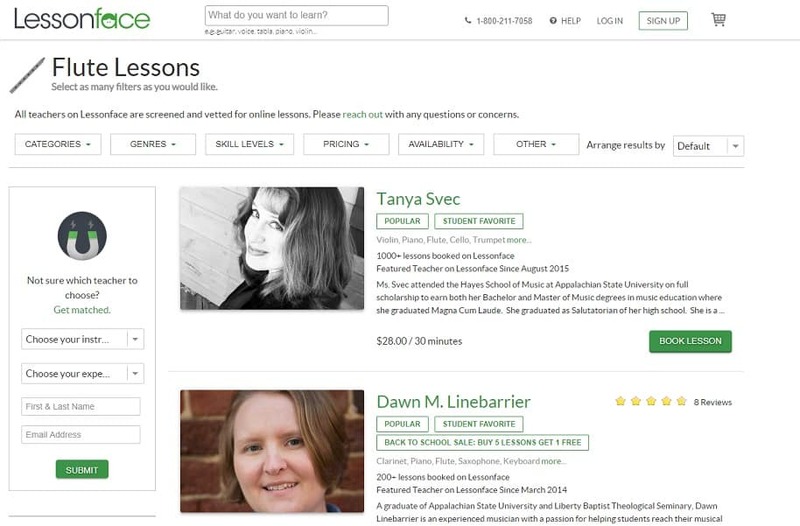 On Fiverr, instructors also offer private lessons to guide their students. These lessons usually involve conveniently arranged flute lessons to guide students at their own pace. On the website, you can find instructors willing to teach students how to play different types of flutes. There are instructors for the Indian flutes, the Piccolo, or the alto flutes. 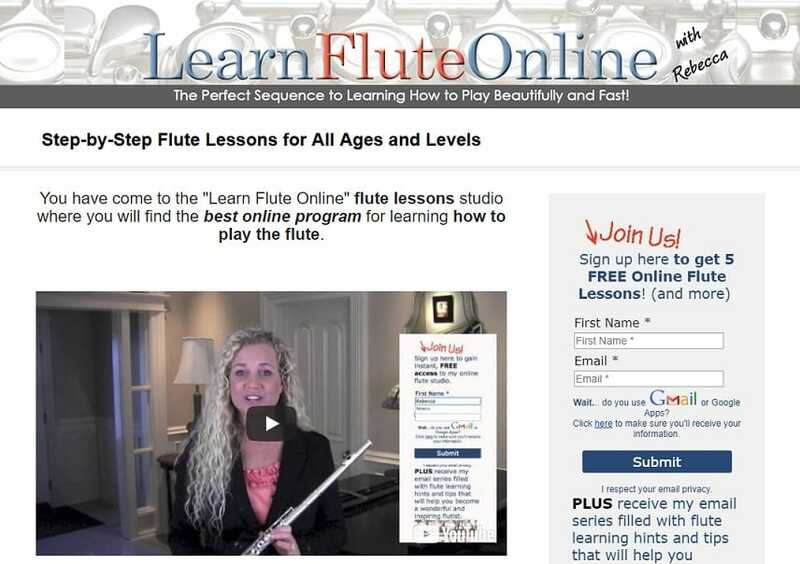 These online lessons cover basic flute lessons for beginners. 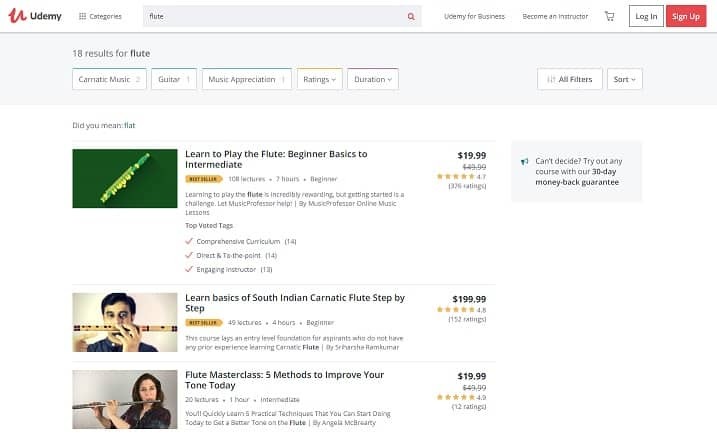 The online flute lessons on Fiverr have been particularly created to help students quickly learn how to play the flute. You can find gigs for flute playing lessons that offer to teach students how to play the flute in as little as 20 minutes. 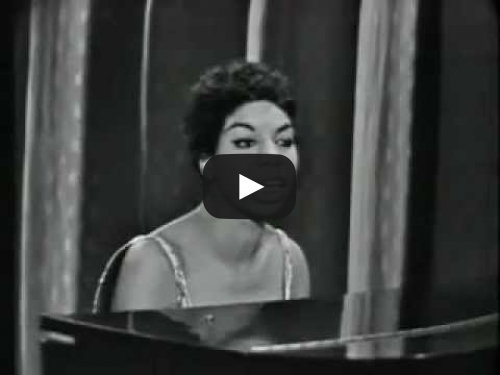 These are quick courses which cover the basics and how to play simple tunes. There are more elaborate courses which include the use of audio and video files; these courses have a longer duration. The courses on Fiverr are affordable, and it is easy to choose the best instructors by viewing their reviews. Sir Galway has a global reputation as a flute player with over 65 recordings and album sales running into millions. The course features 15 flute video lessons created in high resolution to help students understand the aspects of flute playing covered in the videos. Other crucial areas covered in the course include instructions to learn the Embouchure technique. Also, students will participate in breathing exercises, and practicing the scales, arpeggios, and learning the finger technique. There are also learning materials on sheet music to help students practice flute playing at advanced levels. In addition, private lessons can be scheduled for personalized support and practice. Students are exposed to the common terms used in the flute playing sphere. Free and paid lessons are available on this site. Moreover, Sir Galway has added special tips and tricks to help both the beginners and advanced players improve their skills remarkably. The program is vast, and the courses are frequently refreshed to help all students get value from the lessons. The lessons on this site include simple steps to learn how the flute is played online. The site offers online flute learning programs for little children and adults. It is run by Rebecca Fuller, a professional and experienced flautist. She has created the site to help everyone easily understand the basics and advanced methods of playing the flute. This is done through the learning sequence which she has perfected to guide all students who wish to receive online flute lessons. 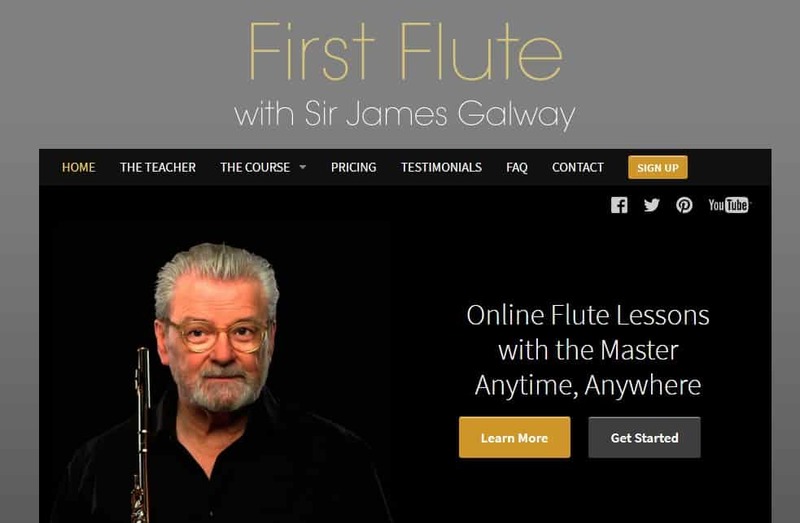 On the site, visitors can experience the first online flute lessons for free before deciding to pay for the full course. Rebecca also offers her experience and knowledge as a flautist to students preparing for exams and people preparing for auditions. The scope for this online course covers the basic online flute lessons such as postural guidance, reading music, learning the notes, and playing the flute by ear. The series of lessons are aimed at helping you to start playing nice tunes as quickly as possible. The online flute lessons are delivered as high-resolution videos sent to the students. Interactive videos are also posted on YouTube where students can leave comments and ask questions. In addition, there are dozens of learning materials that will be sent to students via email during the course. This includes tips, tricks, and guidance on how to become exceptional flutists. The practical aspects of this online flute lessons encourage all students to practice with their flutes after studying the learning materials. The online course covers all the essential areas and students can use the received materials for reference while practicing. Rebecca uses an approach that makes learning the flute a fun experience. 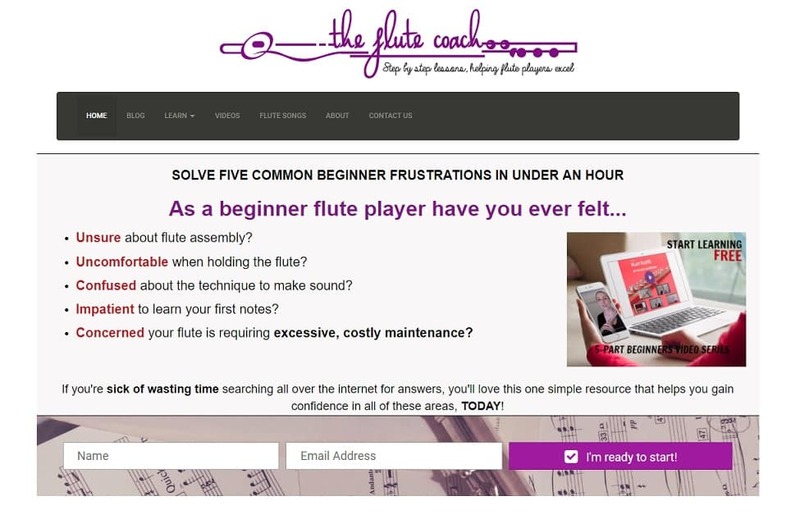 This website targets beginners who need the best lessons to start playing all types of flutes. There are lessons that cover the basic aspects of playing flutes. Students who participate in this course can expect to start playing tunes in less than an hour. The quick courses offer lessons on holding the flute, understanding the scales, and learning the first notes. 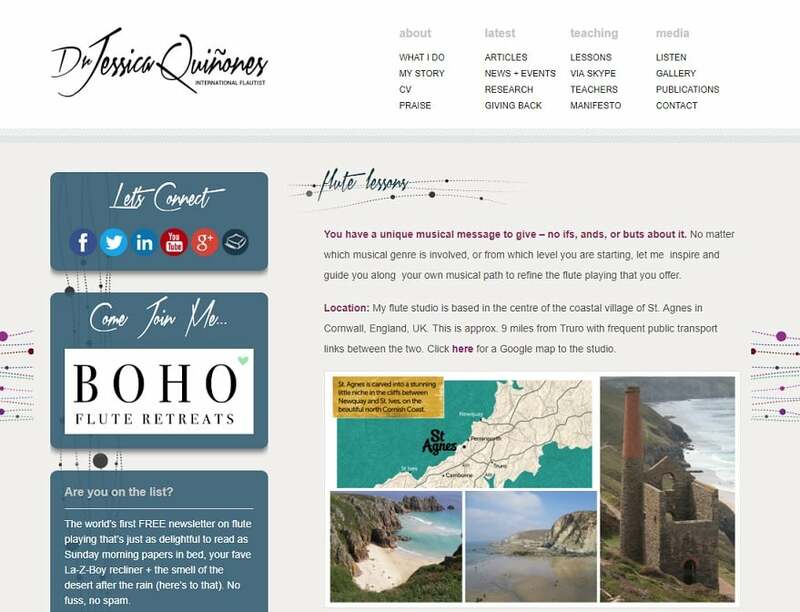 The site offers a vast array of free information needed by its users who need diverse information and support while learning how to play the flute. Moreover, there are blogs that help students and visitors understand how flute playing can be improved and the joy in playing the flute. The course and alternative packages offered on this website are well structured. They include the initial tips and information about the flute and its use. In addition, instructions are provided to improve performance during practice. Playing the flute is made less frustrating while following the tips available on this site. The instructors stress the importance of practice to everyone who wishes to become better flute players. 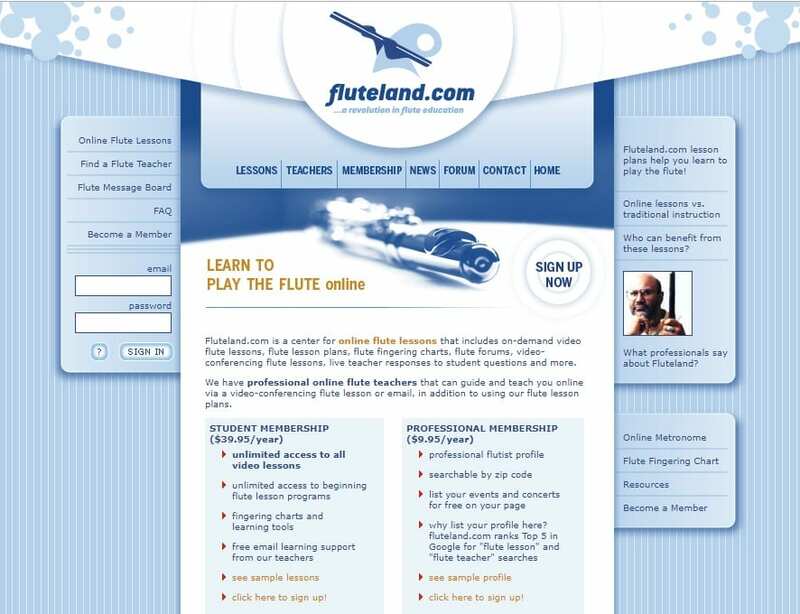 Flute Land is another reputable website that offers online flute lessons to the public. On the site, there are experienced teachers who have built an outstanding reputation as flute players over the years. 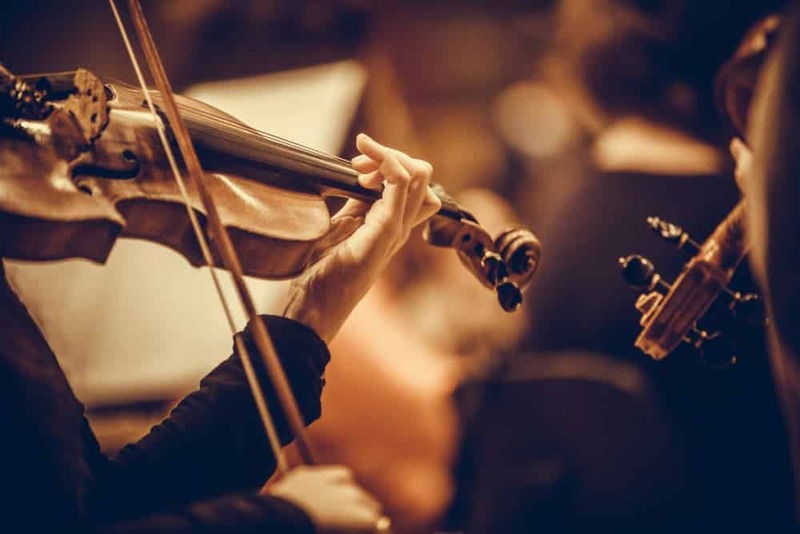 You can find teachers who are affiliated with popular orchestras and bands all over the country. The site offers membership to people who would like to access the vast resources to learn how the flute is played online. The membership structure is designed for students and professionals. The lessons are presented by teachers through reliable video conferencing platforms. Moreover, this allows the students to clearly view the actions of teachers while receiving the appropriate instruction to start creating nice tunes with the flute. Students are taught lessons such as how the hold the flute, the scales, notes, and flute playing tips. The website is highly interactive. Students are allowed to interact with teachers in real time to learn and practice with the flute. As members of this online community, unlimited access is granted to all the learning and practice resources on this site. As professional members, you can create a professional flutist profile to be featured on resumes or other online platforms. Other features on the site include the forum and news sections which provide a platform for the community to interact. Overall, the education on this site is focused on promoting confidence and excellence among all flute players. The website offers a comprehensive online flute learning guide for beginners. Chalk Street is a well-structured platform that offers its learning resources to over 150,000 students online. The packages include guidance and tips to play the traditional Indian flute. The lessons on this site have been created by Shashank Giri. He is a master flute player who started developing his skills at the young age of six. Giri has gained a global reputation as a flutist with over 2,000 performances. His expertise covers diverse techniques and music formats related to playing the flute. All students can benefit from his extensive with the classical flutes to improve their skills using the flute. The course includes the use of videos to provide instructions to students. The guide includes a simple introduction to the flute. Also, how to choose the best flute, holding the instrument, and learning the notes. In further lessons, students will learn how to combine notes to form melodious tunes. The courses on this website are structured for people who have never played the flute before. They can learn important exercises such as breathing, tone production, and the right use of fingers. The advanced lessons cover the basic rudiments of Alankaar and combining notes using the traditional Indian flute. Jolene Madewell welcomes the public to ‘the practice room.’ It is a place where every member of the online community can learn and improve their skills while playing the flute. The lessons on this site are targeted at students who have had some experience playing the flute. On the site, the lessons are offered in real time via video streaming sites such as Skype, or Facetime. The classes are aimed at making students understand the basic aspects of playing the flute as well as learning how to hold the flute, and breathing practices such as inhale and exhale while playing the flute. There is an opportunity for free trials. People who may not be sure about the value of the lessons can experience the free trial before subscribing to weekly lessons. To get started, students are required to have a reliable internet connection, Skype accounts and accessories such as microphones, and a tripod for their smartphone. The weekly lessons have been structured to include postural guidance, practical techniques, and fundamental lessons about learning notes and creating tones. The practical experience includes presenting assignments to encourage the practice. Also, assignments help students identify areas they need to improve while playing flutes. The lessons on this site can be used to promote proficiency in playing the common types of flutes such as the alto flute and Piccolo. In addition, students participate in recital performances and targeted practice to help them pass auditions. Jolene helps students learn how to play flutes while standing or sitting. The flexible lessons make it convenient for busy people to learn how the flute is played. The Skype lessons offered on this site make it possible for more people to learn how to play the flute conveniently. The course is structured to cover basic areas to guise students regardless of their flute playing experiences. Dr. Jessica Quinones is the lead instructor at this site. She has over 27 years of experience as a flute player and teacher. Her ability to help every student learn how to produce nice tones is due to the practical approach integrated into the online courses. On this site, students will be taught how to hold the flute and use the finger technique. 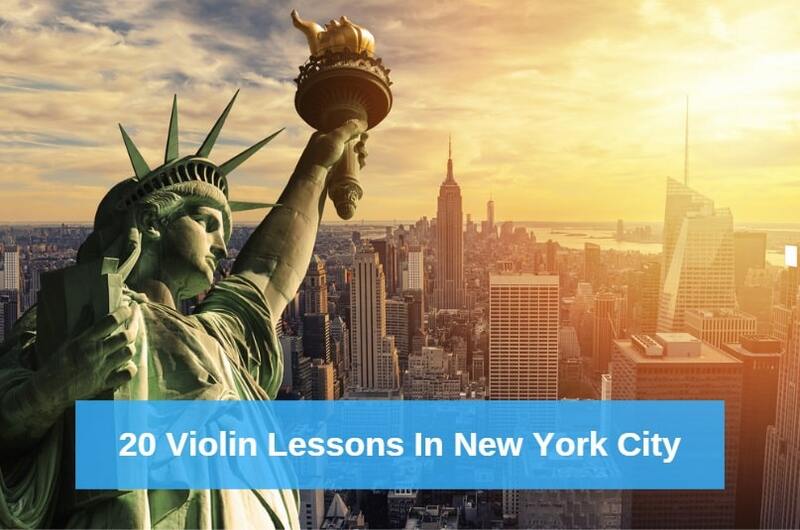 Other core areas of these lessons include breath control, learning the scales, and combining tones. At the end of the course, every student will have a solid foundation to further their experiences as flute players. Dr. Quinine welcomes everyone who needs flute lessons for school recitals, auditions, orchestra performances or as a hobby. This means little children and adults can enroll for these online flute lessons. Experienced players can enroll for these lessons to learn more skills and practice to gain confidence. Learning how to play the flute on this site helps students avoid frustration due to the guidance from an experienced instructor. The courses last from a few weeks to one month, depending on the student’s preferences. 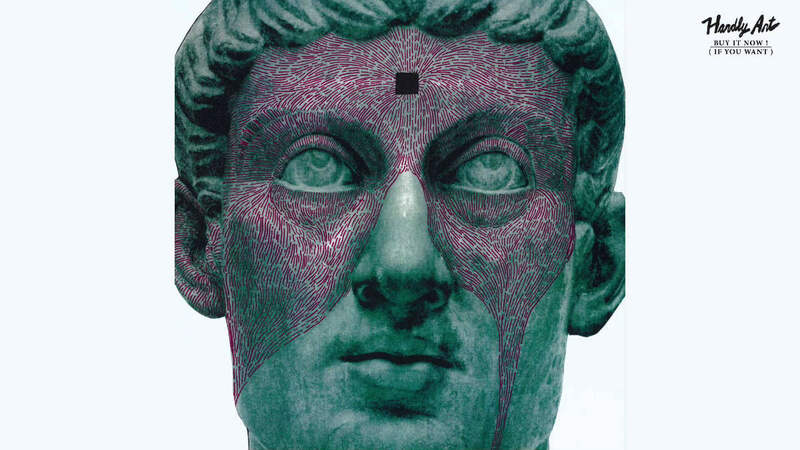 So many people are attracted to the tunes produced by flutes. It helps to find a website such as this that offer online flute lessons in different languages. On the site beginners who have never had an experience playing the flute can learn the basics. The course is divided into smaller sections to improve the learning process. The site is owned by the Red Balloon Technology Ltd, based in England. 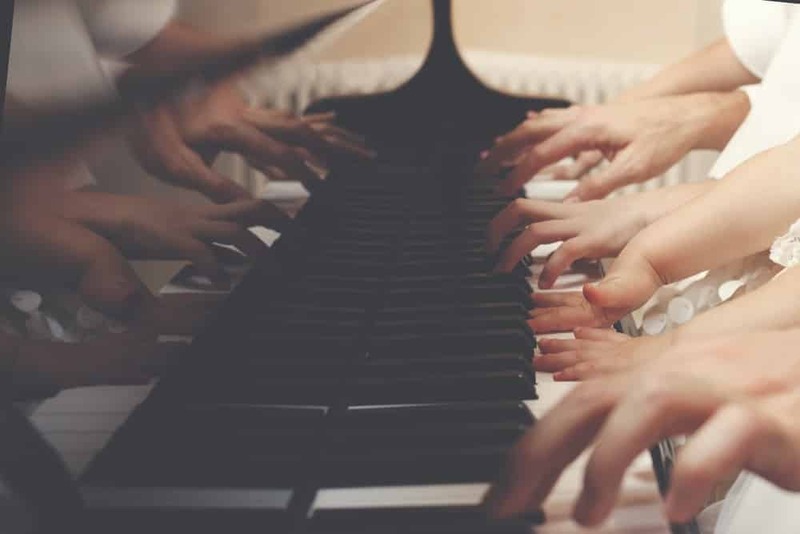 While focusing on sheet music, other musical resources such as tuners, charts, and other free resources are available on the site to keep visitors engaged. The course outline can easily help students progress to become intermediate learners and eventually expert flutists. On the site, students can learn from the online videos which are frequently refreshed to help students get the best information. The lessons cover assembling the flute, postural guidance, reading the notes, and playing notes. 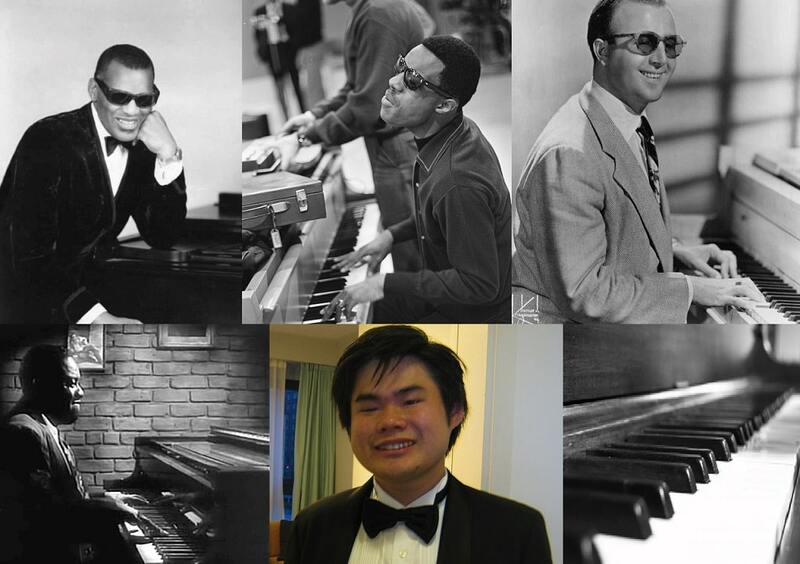 Over time, with more practice, students will learn how to combine notes and form excellent tunes. In addition, lessons are also offered to help students master the rhythmical breathing patterns required by flutists. The online flute lessons offered by instructors on this website are presented to cover the diverse needs of the public. The instructors go through a careful vetting process to ensure the users of this site get value. The offers cover a diverse field related to playing the flute. You can find instructors who offer to provide guidance and support to learn how the Indian flutes, alto flutes or the Piccolo is played. The lessons usually last for about thirty minutes. A majority of the instructors on this site offer trials to offer an experience with the flute and the instructors’ methods before making payment for the service. Also, the focus areas of the instructors are indicated on their profile. For example, instructors offering only Piccolo lessons indicate this offer on their page. Reading the instructors profiles give the insight to know their experience, and methods. Many instructors offer free resources to attract more patronage and help students. This site makes it possible for more flutists to share their knowledge with the public. The use of technology makes it easier to achieve good communication. Lessons are commonly offered via video conference on Skype or Facetime. 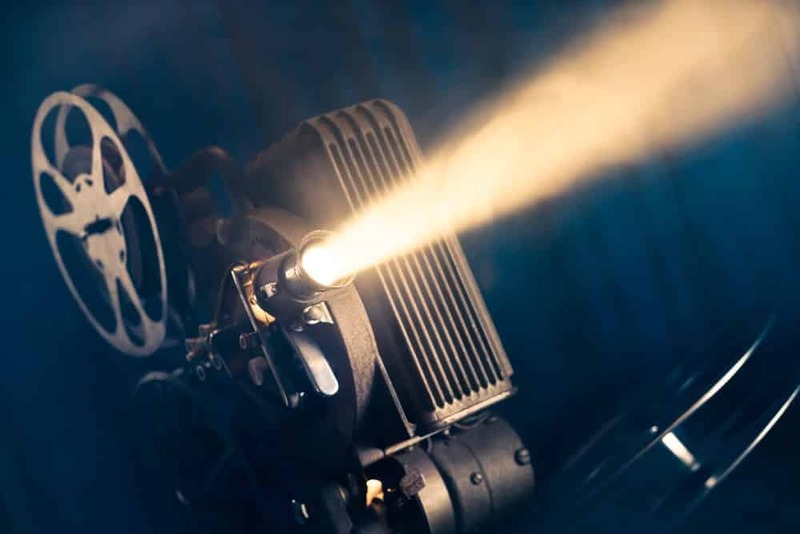 Alternatively, videos and audio files are sent to the students who can also video their practice sessions for critique. The reviews for this site are good because of the veteran flutists offering their service. 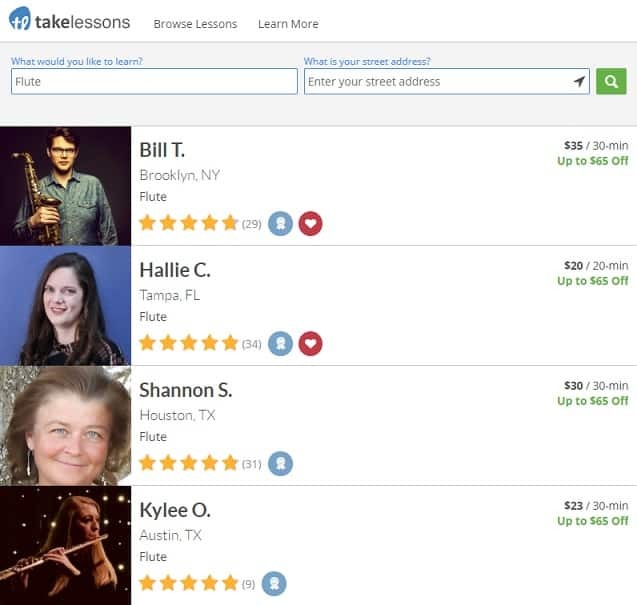 Take lessons is one of the reliable online websites where everyone can learn how to play the flute. The instructors on this site use online platforms compatible with mobile devices and laptops to offer their lessons. The flute lessons are generally made as video clips with voice instructions and live demonstrations. Additionally, live sessions can be organized in real time to help students ask questions and study the techniques. The online learning structure has been quite commendable. Students have access to a diverse group of professional flute players who are willing to teach others their skills. The lessons cover the basic tips and aspects of playing the flute. People at different stages of learning can participate in these lessons. Professionals who also need to refresh their skills are welcome. There are about 146 active teachers on this site. Making a choice on the site is made easier by viewing the feedback and number of lessons each instructor has successfully offered on the website. The lessons last for as long as thirty minutes per session. The instructors indicate their schedules which help students make plans to be available at the right time for practice. The site has a user-friendly design, so it is easy to get value. On this site, private lessons are offered to people who wish to learn or improve their ability to play the flute. The lessons are done via a computer or using mobile devices. The direct interaction used for this learning process helps the learners ask questions and practice under the guidance of a professional instructor. On the site, the teachers currently at every time are featured on the homepage from where their services can be patronized. It is a simple and quick process, after making payment, the lessons begin online. The website has been in existence for over thirteen years, during which time so many people have benefited from the online lessons. The online sessions can be 30 minutes, 45 minutes, or an hour. During this time, the lessons will commence from the students level and experience with the flute. Free trials are also available to help people understand what is involved and the value they can get after a session. Learning how to play the flute on this site is convenient. Lessons done via Skype can be recorded and further studied by the students while practicing after each session. The flexible nature of these online flute lessons makes it possible for everyone to learn at affordable rates. It is also a good option for people preparing to participate in auditions and exams. Preply is one of the popular sites where you can learn how to play the flute online. This site has recorded high patronage because it offers the online flute lessons in different languages. Students and professionals from all over the world can browse through the instructor’s profiles to find suitable teachers. Each instructor offering lessons on the site indicate their areas of proficiency and the languages they can communicate with during the online lessons. The site is easy to use and affordable. The structure allows users to experience the free trials for each instructor to find a suitable teacher who will help them achieve their goals. The online flute lessons offered on the website cover the core areas needed to form a good foundation for beginners. It starts with learning how to hold the flute and read the notes. However, lessons can be structured for people who have had some experience with the flute and only need specific support from the instructors. It is also possible to communicate with the instructors directly. Messages can include queries and questions to ensure the lessons offered meet the students’ needs. Choosing a suitable teacher can also be done by viewing the feedback provided by previous students. This way, you can know if the teachers are dedicated to ensuring you will get value for your money. This site offers you a chance to learn from professionally trained and experienced flutists. It is a well-designed website with responsive features compatible with computers or mobile devices. At every time this site offers as many as fifty teachers willing to offer online flute lessons. The teachers all have explanatory profiles which introduce and explain how they can help you become a flutist. You can find accomplished flutists who have been affiliated with universities and orchestras all across the country. Many of these flutists also have years of experience that will be useful while providing the needed support remotely. The convenience this site offers everyone is one of the reasons for the high patronage. The lessons are either done via real-time sessions or pre-made high-resolution videos. Also, beginners can learn the basics to form a good foundation for advanced lessons. The masterclass lessons on this site are offered to students who need support while preparing for crucial exams and tests. Some of the teachers also offer online lessons to teach students according to the methods applied in other countries. On this website, a diverse group of flutists offers their services to the public. People who need specific support services to learn how the flute is played will find help here. The teachers offer a wide range of services such as learning how to play the Irish flute, Piccolo, or the recorder. The teachers on this site are mostly educated with music degrees from higher institutions or students at different levels of higher education in notable universities. The process is easy, selecting a teacher can be done based on reviews or the suitability of their offer. Moreover, the feedback provided by previous students can help a new user decide which teacher to use on the site. You can also search for teachers online by location. Many of the online lessons on this website are offered to people of all ages. The teachers state their experiences teaching children as young as 5-years-old and older adults above 60-years. Everyone can achieve their dreams of learning how the flute is played after choosing the most suitable teacher on Superprof. The option to find online teachers by location makes it convenient to locate teachers who most likely speak the same language which makes the lessons easier. 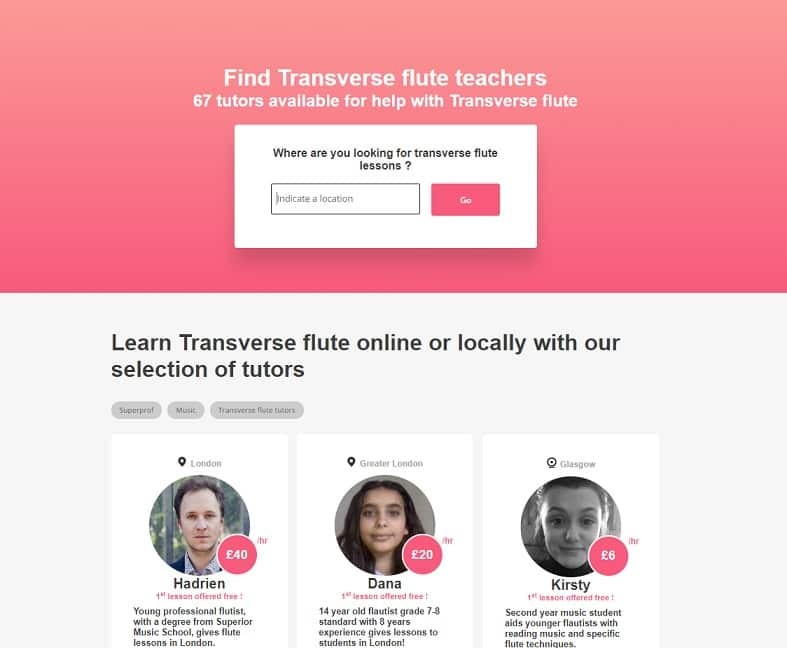 With the availability of the online flute lessons, more people can get quick courses and professional support to learn special techniques. While a high preference is given for the real-time flute lessons online, more people can achieve their dreams conveniently. The requirements for real-time flute practice online are not very difficult to fulfill. After the agreement has been concluded with the teacher, a convenient time is set, and the lessons begin. The online flute lessons also help others become better by viewing videos recorded by pre-professional students to learn more tips. Fortunately, there are so many reputable flutists with many years of experience who offer online lessons. It gives beginners the opportunity to learn how the flute is played under the guidance of experts who would otherwise have not been accessible. While it may be more expensive, the private online flute lessons may be a better option. These private lessons offer a unique opportunity to learn how to play the flute while being instructed by the experts. These lessons also make the communication easier to learn some crucial tips that have helped the experts over the years. It is also easier to have preferences when using online flute lesson options. Some people are interested in learning how to play particular types of flutes. With the online options, it is easier to find websites owned by expert flutists who specifically concentrate on teaching students how to play particular types of flutes. However, students can also learn how to play more types of flutes if they wish. 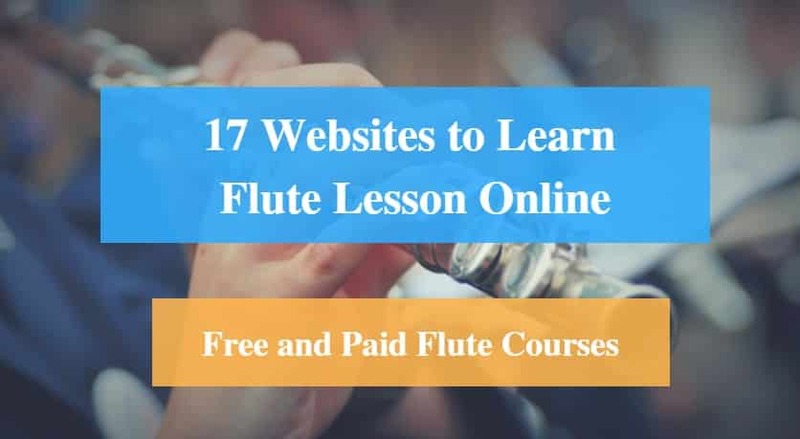 The online flute lessons are quite affordable and easy to access because the websites only feature teachers who are ready to start immediately the payment is confirmed. Participating in the online courses to teach people how the flute is played also provides an opportunity for the students to record the lessons and use the videos for practice after the session has ended. Some instructors also permit their students to send videos of their practice sessions in cases where the real-time online flute lessons are not offered. The online flute lessons also help to avoid waste of time and resources. Many of the online teachers have been reviewed and feedback provided by past students. 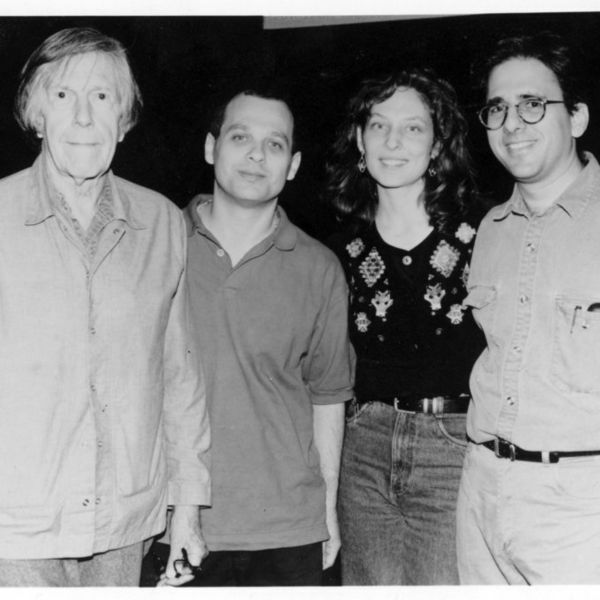 It is easy to find an expert flutist who has helped hundreds of others learn how to play the flute efficiently. Classical music mashup: how many pieces can you identify?